Hawthorn berry tea, derived from a prickly shrub in the rose family, contains a multitude of substances that support heart health. The antioxidant flavanoids in hawthorn berries may aid the dilation of blood vessels, increase blood flow and protect the vessels from damage. Before brewing hawthorn berry tea, talk to your doctor about side effects and possible interactions. Hawthorn is a safe herb and side effects are rare but may include headache, nausea and heart palpitations. Put 1 to 2 teaspoon of hawthorn berries in a single-serve tea strainer. These small mesh balls make it simple to prepare loose tea. Pre-bagged hawthron berry tea is also acceptable. 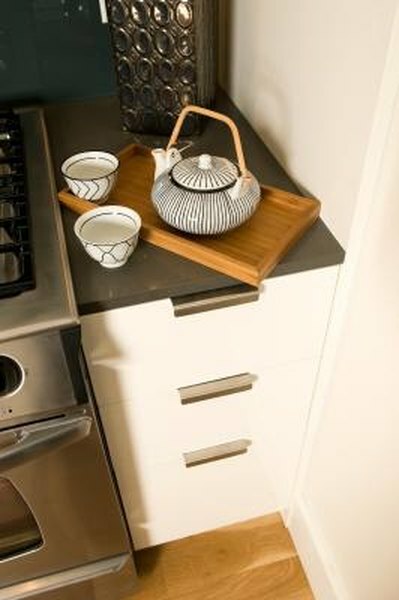 Boil a cup of water in a teapot on the stove or in a ceramic mug in the microwave. Be sure the water is hot and reaches at least a light boil. The presence of tiny bubbles indicates the water is an adequate temperature. Place your herbs in a mug and add the hot water. Steep the tea. For a lighter flavor, remove the berries after five minutes. To achieve a stronger brew, steep for up to 10 minutes. Remove the tea bag or tea strainer. Due to the naturally sour flavor of hawthorn berry tea, you may want to add your preferred sweetener. Due to potential uterine activity, pregnant women should not use hawthorn berry tea without consulting a doctor.